SAN JOSE, Calif. – May 10, 2016 – Intacct, a leading provider of best-in-class cloud ERP software, today announced the launch of Intacct Contract and Revenue Management. 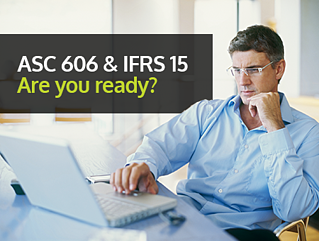 The new offering marks the industry’s first automated solution to help companies navigate the complexities created by the upcoming ASC 606 and IFRS 15 revenue recognition guidelines, which otherwise could burden and overwhelm finance teams with the most sweeping accounting changes in over a decade. Intacct Contract and Revenue Management is a new module for Intacct’s cloud ERP solution that fully addresses all the upcoming rules for revenue reallocation and expense amortization—using automation, not spreadsheets and a lot of accountants’ time. This comprehensive solution provides out-of-the-box functionality that reduces dependence on IT resources and doesn’t require complicated scripting. Starting in 2018 for public companies and 2019 for private companies, ASC 606 and IFRS 15 revenue management guidelines from the Federal Accounting Standards Board (FASB) and International Accounting Standards Board (IASB) will require companies to reallocate revenue each time a customer contract changes and defer expense recognition to align with the contract’s delivery. As a result, contract add-ons and renewals must be integrated into a single contract and will trigger reallocations across both past and future periods—causing continuous revisions to revenue allocations and expense alignment. Although the new accounting standards go into effect in 2018, the influence of the new guidelines will impact companies much earlier, as any customer contract that extends beyond the start date will be effected. For example, a public company using two-year contracts would be impacted immediately. Furthermore, most companies will need to recast prior-period financial statements using the new guidelines in advance of the start date in order to provide proper comparative and future guidance to investors. In a recent Intacct survey of 320 finance executives at mid-sized companies, less than 10 percent of respondents had started to take the necessary steps to address the new standards. In addition, nearly half (47%) said that implementing the new requirements into their financial system or revenue recognition spreadsheets would be their biggest challenge to addressing the new rules. Intacct Contract and Revenue Management is designed to make companies audit-ready, while delivering the continuous insights needed to make their financial future predictable. The new software enables companies to simultaneously manage revenue using both the current and new accounting guidelines—allowing them to operate under current guidelines and the new standards, simultaneously. For joint Intacct and Salesforce customers, Intacct Contract and Revenue Management also enables companies to structure workflows to capture and edit contracts natively in Salesforce. There is no need to import contracts using additional integration software or by rekeying them into Intacct—streamlining processes and eliminating potential errors. To watch a video overview of Intacct Contract and Revenue Management, please visit https://www.intacct.com/videos/intacct-contract-and-revenue-management. Intacct Contract and Revenue Management will be generally available starting May 20 from Intacct and BTerrell Group as part of Intacct 2016 Release 2.